The Panama papers reveal Secretary of State nominee Rex Tillerson's ties to Russia and offshore companies -- the first of many such revelations? 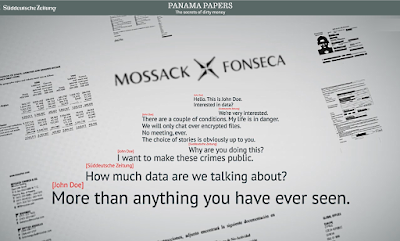 The Panama Papers is a collection of 11.5 million documents (2.6 terabytes) that was leaked by an anonymous source to Süddeutsche Zeitung (SZ), a German newspaper. 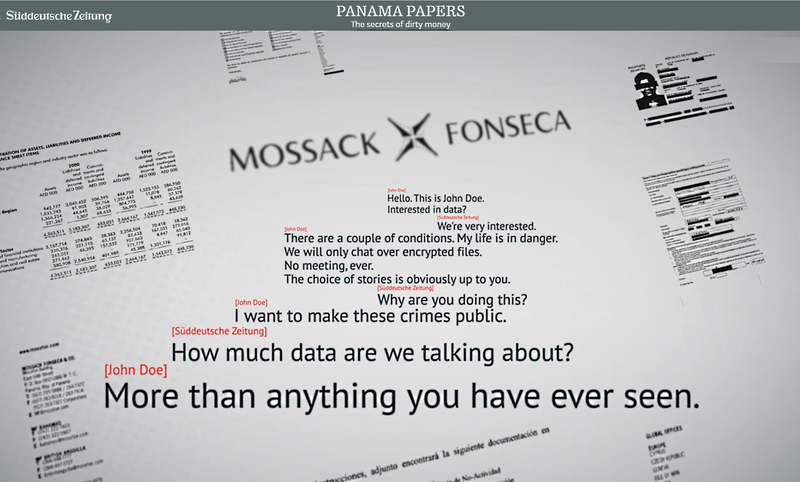 The documents were from the internal files of Mossack Fonseca, a Panamanian law firm that creates anonymous offshore companies around the world. The database on 320,000 offshore companies may be accessed here. SZ did not have the staff and resources to analyze that many documents, so they decided to cooperate with the International Consortium of Investigative Journalists, a global network of more than 190 journalists in more than 65 countries who collaborate on in-depth investigative stories. (The story of this massive, Internet-based collaboration is amazing in its own right. For more on the ICIJ and the methodology of this investigation, check out this excellent 15 minute podcast, with transcript). The ICIJ has now turned it's attention to the Trump administration and has discovered that Rex Tillerson, ExxonMobil CEO and Secretary of State nominee was a director of an offshore company in the Bahamas that is at the heart of Exxon’s close business dealings with Russia. The records show Tillerson’s direct involvement in Exxon’s extensive network of companies based in the Bahamas. ExxonMobil created at least 67 companies based in the island tax haven, which were involved in operations spanning from Russia to Venezuela to Azerbaijan, according to ICIJ’s documents from the Bahamas corporate registry. This may be legal and may not be depriving the US of tax revenue, but it does raise questions of Russian influence and conflict of interest. Tillerson currently holds an estimated $228 million in Exxon stock, whose value stands to be affected by State Department policies on issues from climate change to sanctions against Russia. The ICIJ promises to continue investigating the Trump administration -- stay tuned. This is not the only result of the ICIJ investigation of the Panama Papers. For example, an earlier investigation revealed that Mossack Fonseca had been used to "create a string of companies in offshore financial havens that allowed it to sidestep the U.S. embargo in its commercial operations." They have identified at least 25 companies registered in the British Virgin Islands, Panama and the Bahamas that are linked to Cuba, enabling the Cuban government to import and export goods and invest funds abroad. Another investigation led to the resignation of the Prime Minister of Iceland.